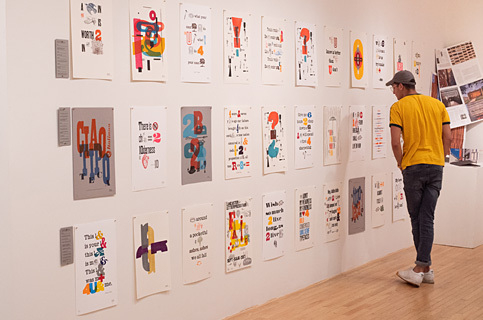 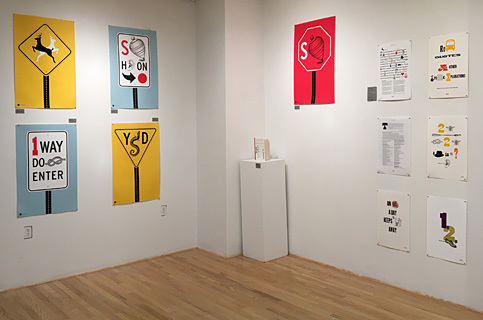 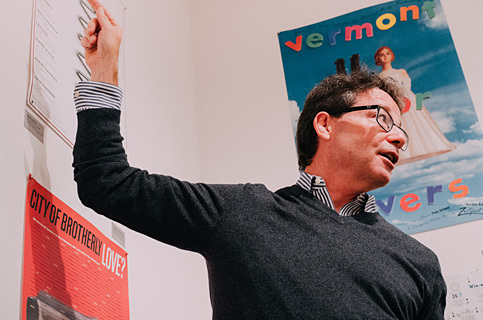 The exhibition, Not Just Eye Candy, Design Work by Frank Baseman, opened at Recitation Gallery at the University of Delaware with a lecture and reception at the beginning of September, just in time for the start of the academic year. 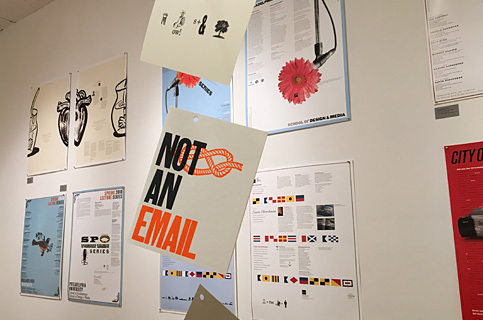 Both events were very well-attended, and the exhibition continued on display for the month of September. 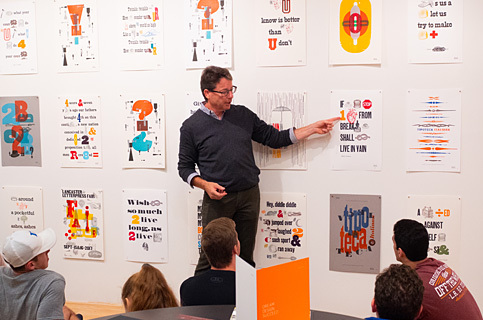 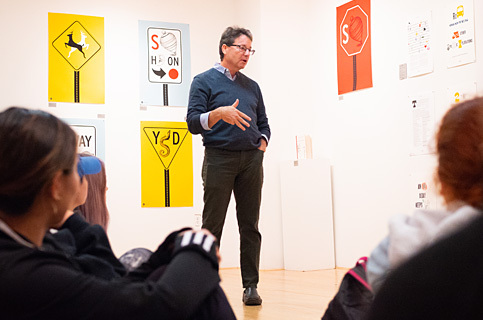 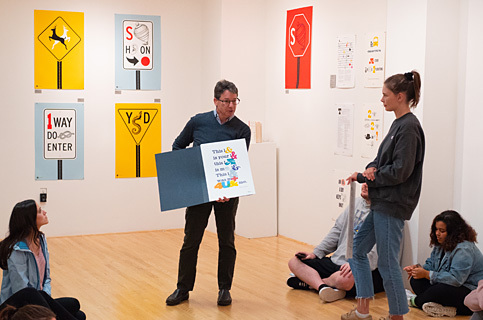 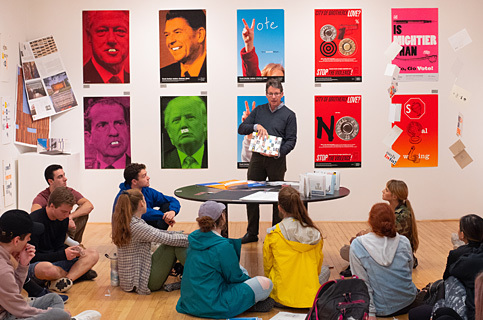 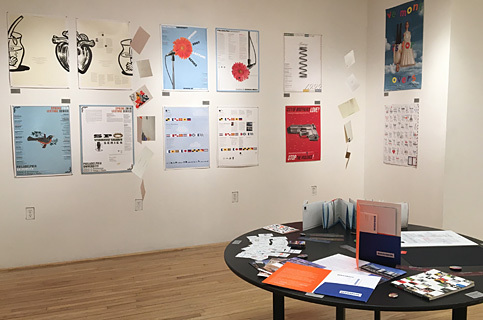 Also included was a lively, engaging Gallery Talk to a junior-year Typography class from the University of Delaware. 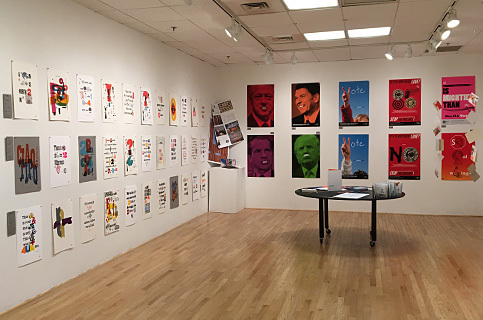 Next exhibition opportunity: Marywood University, January, 2019; stay tuned for further details.